A large oval shaped black or green olive native to Italy. It is a brine-cured olive that generally provides a softer delicately sweet flavor. As is typical, the black variety has softer meat than the green. 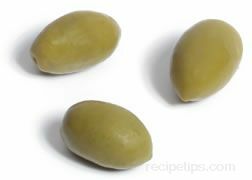 This olive is sometimes referred to as Bella di Cerignola.